Today, somewhere in Doña Ana County, a child will cry herself to sleep because her parents had to take a litter of unexpected kittens to the animal shelter. A frightened dog that lost his family will be picked up by animal control and, with no identification, will be put down when he isn’t claimed or rescued. A family that couldn’t afford to have their beloved dog spayed will be faced with surrendering her litter of playful pups to an uncertain fate and possible euthanasia. These events are far too common in our community, and are a direct result of pet owners that are too careless, too callous, or too financially challenged to provide the care that pets need. Things are changing, though, and for the better. More community members and local businesses are becoming involved in the welfare of the local pet population, leading to more solutions. This is important, because although Doña Ana County has seen a 73 percent decrease in the number of animals euthanized since 2008, the number of unwanted animals being received by the Animal Service Center of the Mesilla Valley (ASCMV) hasn’t decreased in the past two years. 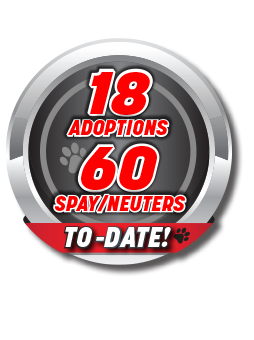 Spay and neuter programs are the only way to reduce and possibly eliminate the area’s overpopulation program, and this requires public education and greater access to convenient, affordable spay/neuter programs. In recent years, the ASCMV has focused on getting the word out about the importance of these programs, as well as making the community aware of the requirements for pet licensing and micro chipping. The good news is that the ASCMV provides access to more and more low- or no-cost spaying and neutering services. The shelter continues to work to reduce their overall intake rate of unwanted animals through low-cost spay and neuter programs and public education efforts. Now, the ASCMV is finding even more support for their mission within the local business community. As a long-time, locally owned and operated business, the Borman Autoplex of Las Cruces is one of the region’s most well-known automotive dealerships. Recently, the owners of the Autoplex approached the ASCMV about how they could help improve the situation. 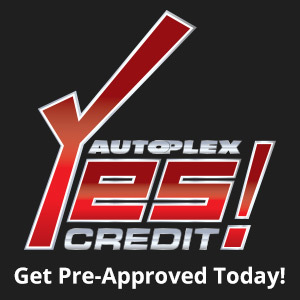 The dealership has strong ties to the entire area, and a philosophy of helping make a difference in their community. Many of the men and women at the Autoplex are loving pet owners themselves, and several are involved with multiple local non-profit and volunteer pet organizations. The Autoplex wanted to find a way to make a positive impact on the quality of life for area pets, and created several new programs to help. One of these areas are with pet identification. Once the city’s Animal Control officers bring an animal to the ASCMV, every effort is made to find its owners or a new home. Nationwide, only two percent of cats and 20 percent of dogs find their way back home. The best chance for a pet to find its way back home is with an external identification tag and a microchip. Although highly effective—and required by local law—a microchip can migrate under an animal’s skin and be difficult to find. However, if a pet also has an ID tag, an Animal Control officer can return the pet in the field directly, avoiding being taken to the shelter altogether. To encourage pet identification, the Borman Autoplex is now providing free external pet tags to the community. Owners need to only visit the front desk of the Ford building at the Autoplex to receive tokens that will work in the tag machine kiosk in the lobby. The whole thing is self-serve, so you can easily make your individualized tag yourself! The Autoplex has really dedicated their resources to this issue. 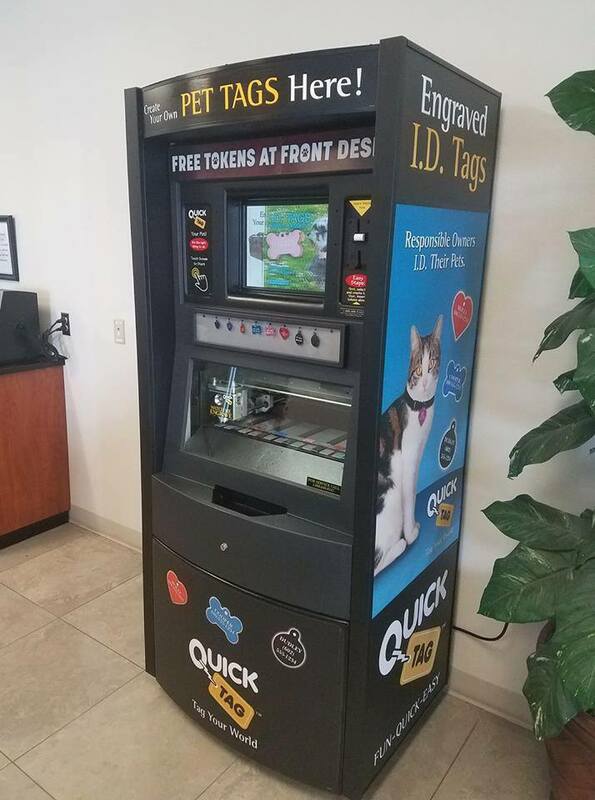 In addition to the free pet ID tags and hosting spay/neuter clinics, the dealership also has donation boxes set up throughout the dealership. It’s called “I Give a Lick,” and the money collected in these boxes throughout the dealership will provide for even more spay and neuter surgeries throughout the community. Your donation lets you slap on of these colorful, fun stickers that proudly state that you “Give a Lick!” wherever you want to showcase your support for the animal community, and to spread awareness for local spay/neuter services. Volunteers and caring businesses like the Borman Autoplex will continue to help the ASCMV make a positive impact on the unwanted animal situation, and will help bring an end to unloved, discarded pets in our community.